Closing out our giveaways for this Tuesday is G.Skill. The long-lived memory, storage, and peripheral manufacturer has sent over a trio of prizes from across their product lineup. 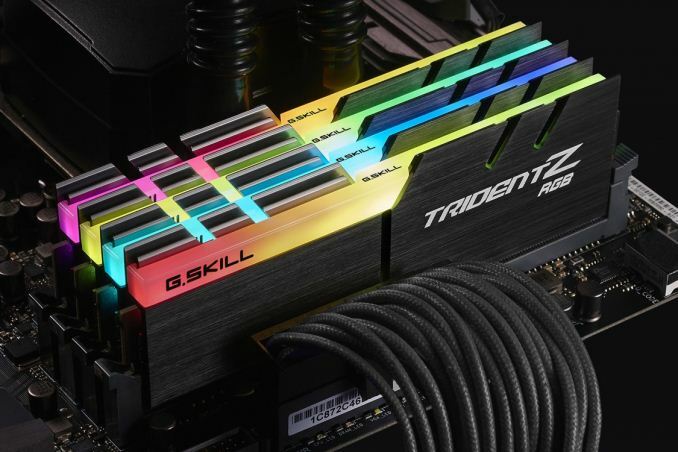 The company’s core specialty is of course RAM, so we have two of their Trident Z RGB DDR4 kits: a 32GB (4x8GB) DDR4-3200 kit, and the even faster 32GB (4x8GB) DDR4-3600 kit. Meanwhile from their peripherals business, we have a complete 780-series mouse and keyboard set, containing a KM780 RGB keyboard and MX780 mouse. Starting things off, we have a duo of G.Skill’s flagship Trident Z RGB memory kits, the DDR4-3200 and the DDR4-3600. The DDR4-3200 kit runs at 14-14-14 timings, meanwhile the DDR4-3600 kit trades a bit of frequency for timings, bumping the latter up to 16-16-16. Both kits offer frequencies well over the DDR4 official spec, so unsurprisingly both require a little more voltage – 1.35v to be precise – to get there, with an XMP 2.0 profile to help motherboards dial in the right settings. Meanwhile both kits are clad in G.Skill’s Trident Z RGB heatspreader. This black metal headspreader includes an exposed lightbar at the top of the memory, which in turn contains a full RGB color lighting solution, allowing the DIMMs to add some more color to a build. 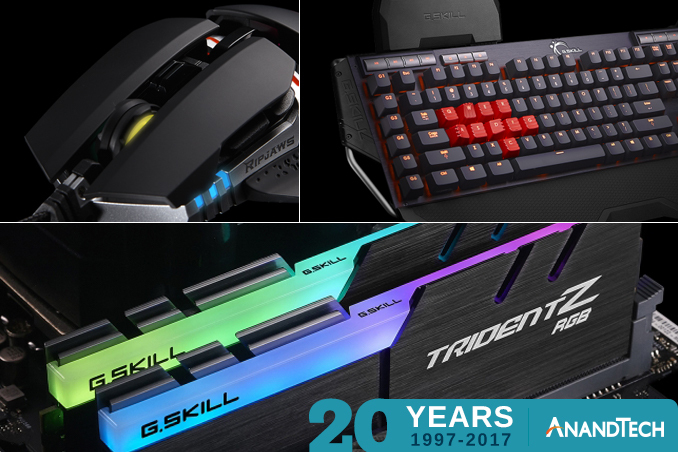 Our third G.Skill prize for the day is a mouse and keyboard combo pack containing the company’s Ripjaws KM780 RGB keyboard and Ripjaws MX780 mouse. The KM780 RGB keyboard is a fully mechanical keyboard using Cherry’s MX switches. Besides basic keyboard functionality, the board also includes several extra function keys (including a dedicated timer key!) and a USB 2.0 port for daisy-chaining a mouse. And as is common for high-end keyboards, G.Skill offers a macro command system. 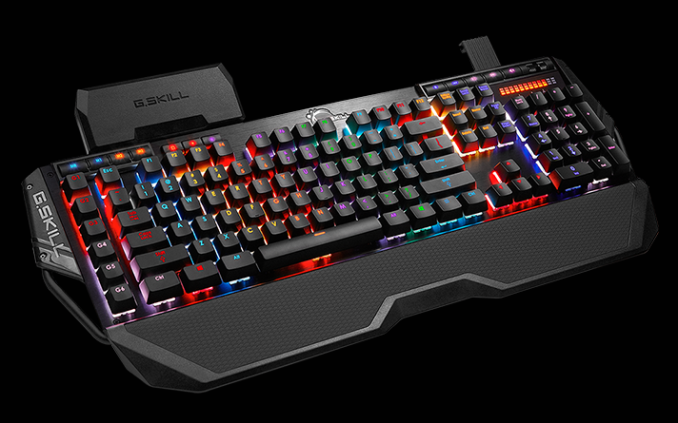 Finally, the keyboard offers extensive RGB lighting, with fully programmable per-key RGB backlighting. Meanwhile the MX780 mouse is the natural counterpart to the KM780 keyboard. 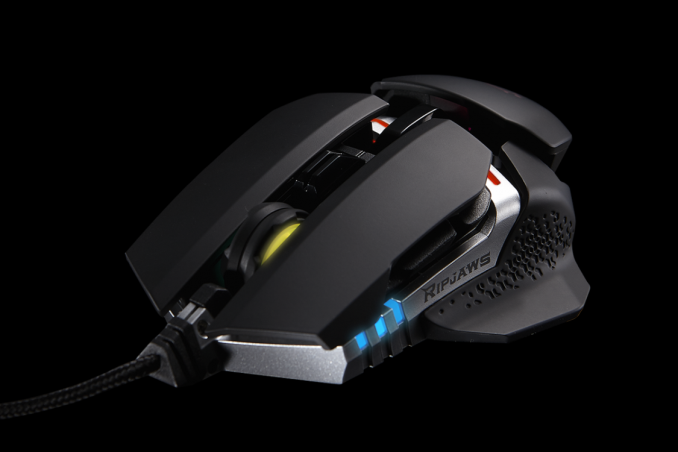 The aluminum-framed ambidextrous mouse is based around an Avago ADNS 9800 laser sensor, one of the higher-end sensors on the market today. The body of the mouse itself includes swappable side grips, 8 programmable buttons, and height + weight adjustment. Oh, and of course, RGB lighting courtesy of a 4 zone lighting system. Good luck to everyone! And be sure to check in tomorrow for our next giveaway.